Tiger Muay Thai is constantly improving, and listening to the wants and needs of our loyal customers. 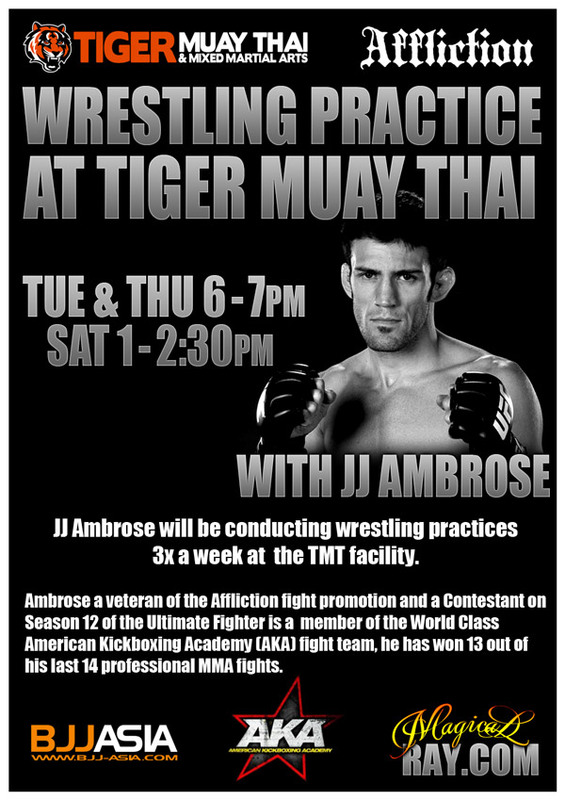 Looking to offer more value for the same price, Tiger Muay Thai and MMA Phuket will now be offering a Wrestling Class 3x’s a week. 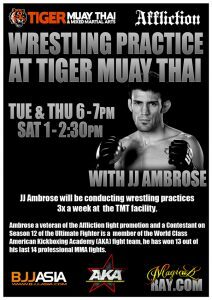 Lead by Professional Fighter JJ Ambrose, classes will be held every Tuesday and Thursday from 6pm-7 and again on Saturday from 1PM-2:30. These classes will be in addition to the already scheduled Submission Grappling, Brazilian Jiu Jitsu, and MMA classes held at Tiger Muay Thai and MMA Phuket. The focus will be on traditional wrestling with an emphasis on MMA application. JJ Ambrose, a member of the American Kickboxing Academy has won 13 out of his last 14 professional MMA bouts, and besides being a veteran of both the Ultimate Fighter and Affliction fight promotions, is a Brazilian Jiu Jitsu purple belt under Subfighter instructor Tracy Hess of Southern California.